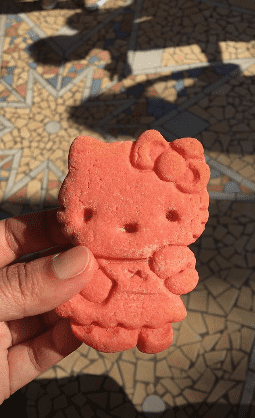 When i visited Tokyo, i was a bit disappointed to not have tried the hello kitty room in the Keio Plaza Hotel ! 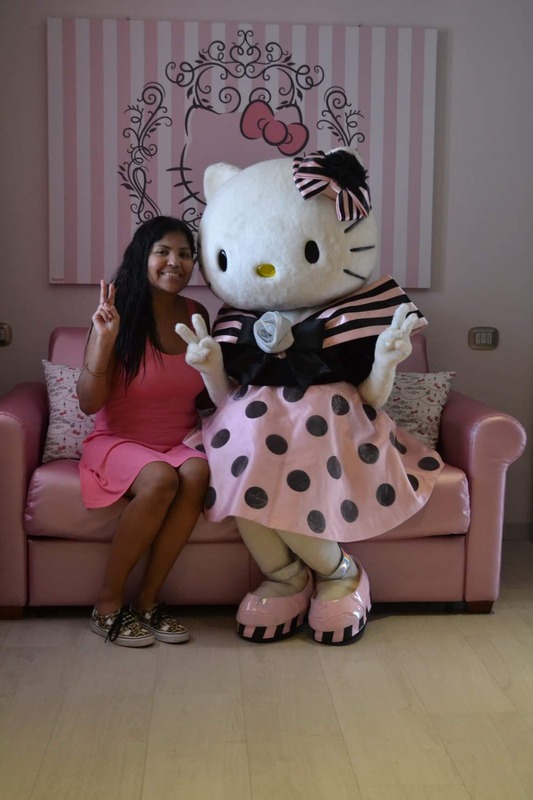 So when i heard about this Hotel with a Hello Kitty room in Italy, i directly booked the room including the breakfast ! 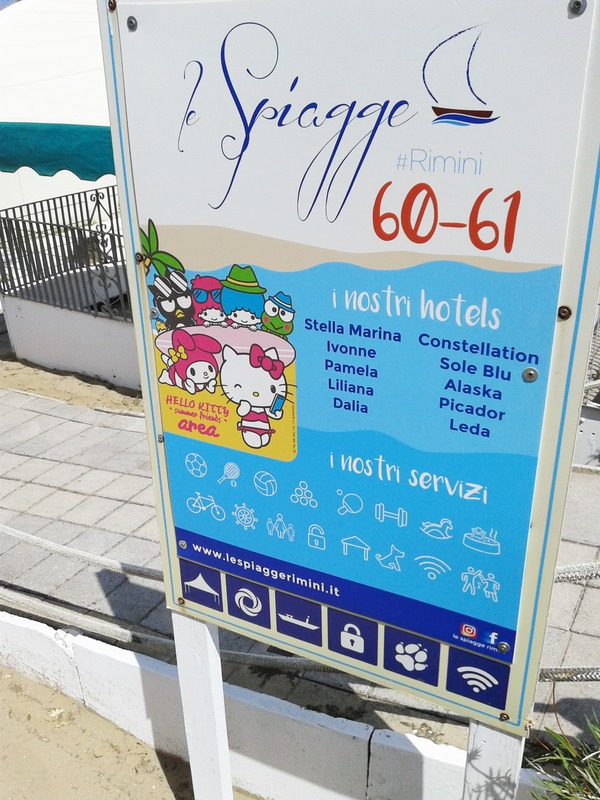 This popular hotel is the Hotel Fabrizio in Rimini ! It’s a nice place just a 6 minutes walk to the beach ! So it was perfect for vacations and relax ! Also Italians are really jovial ! 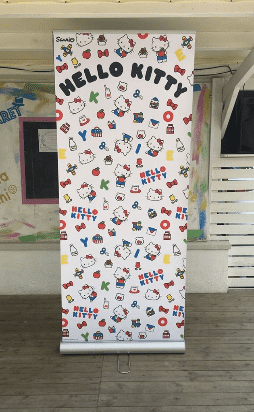 And I had the chance to attend the Hello Kitty party ! The hotel Fabrizio included a swimming pool and is mostly a family hotel so you will find many families there for vacations and it’s a very animated hotel with very cool and nice instructors ! The staff was so kind, they welcomed me like a VIP ! 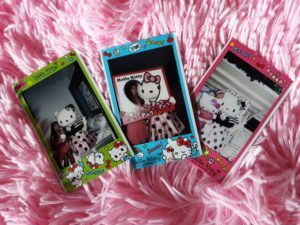 When I discovered the Hello Kitty room, I was super excited like a a child ! It’s a big room of 24m2 ! 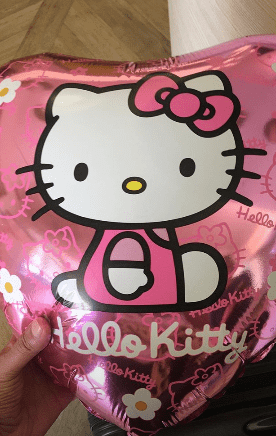 The decoration is really very pretty, soft with grey and pink colors and a lot of little details of Hello Kitty and bows as well ! 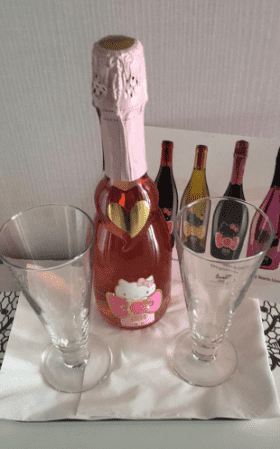 There were small gifts on the bed and even a Hello Kitty wine ! I did not even drink it, it’s too cute to be drunk ! I kept it to bring it home as decoration ! 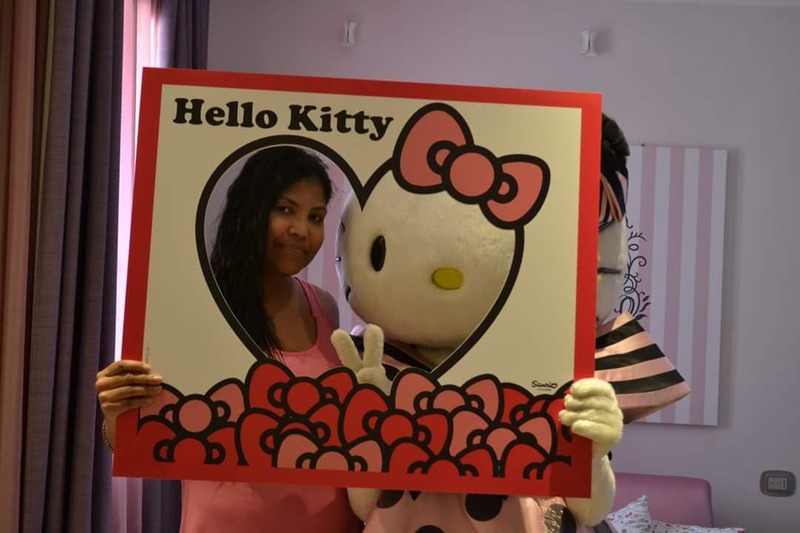 And later Hello Kitty came to visit me in my Hello Kitty room and we took a lot of pictures together ! We even discussed ! I’m kidding ! She can’t talk, she has no mouth or maybe she’s shy ! Lol But she’s so cute ! 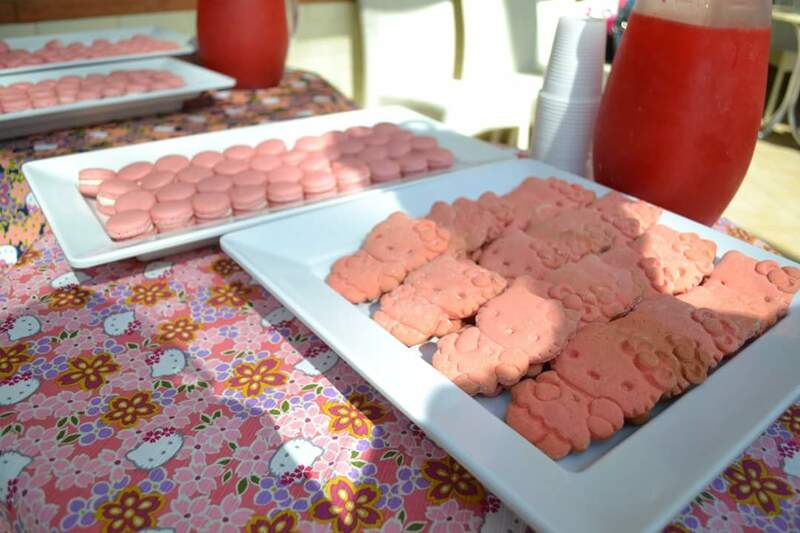 Then there was the Hello Kitty party ! It was short but fun ! 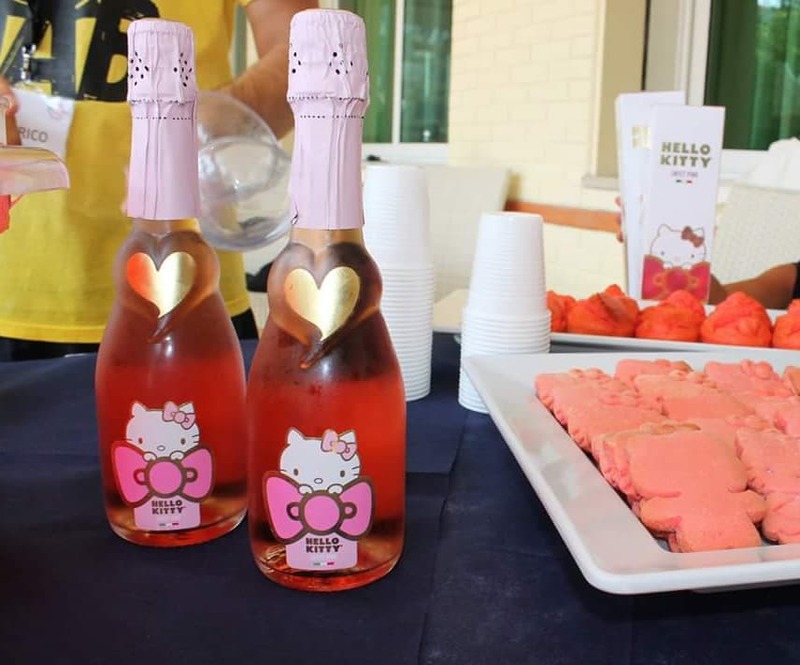 There was Hello Kitty champagne or wine or juice not sure cause there were children, Hello Kitty cakes and Hello Kitty herself of course ! 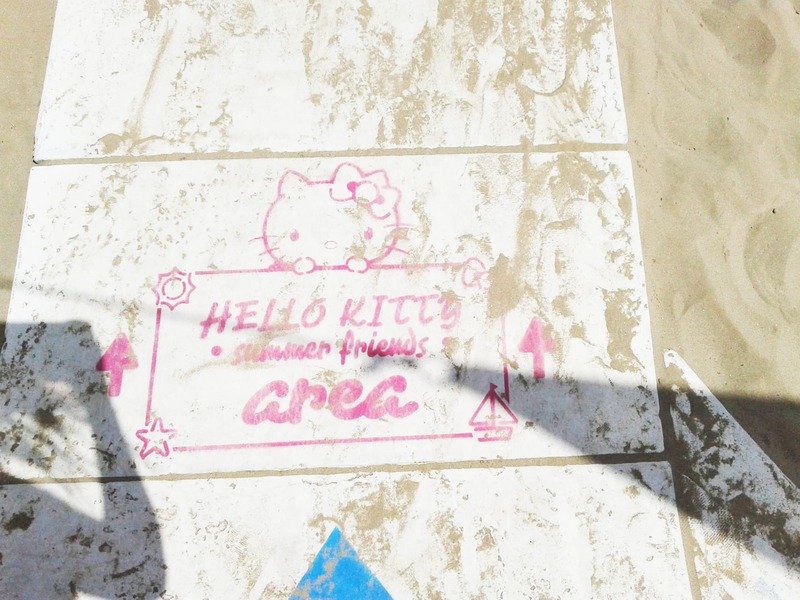 The other reason to go there is the Hello Kitty beach which is a short walk from the hotel ! 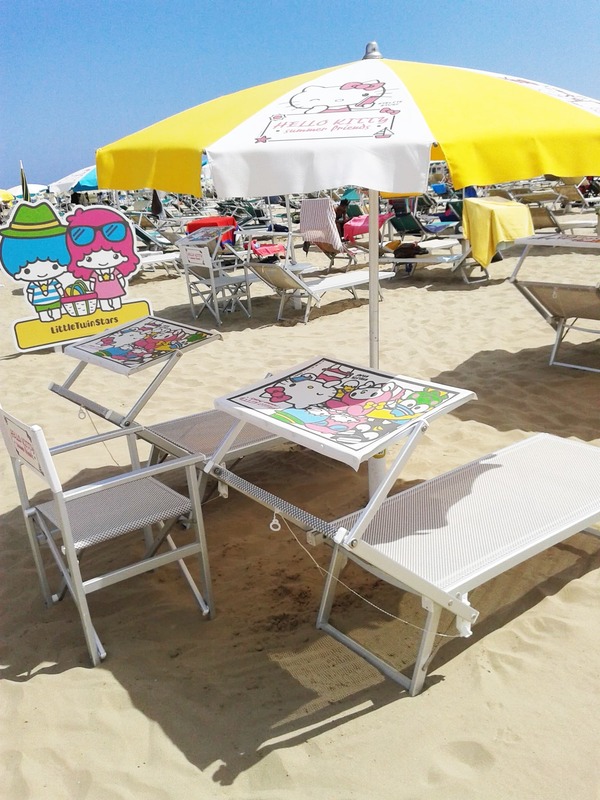 When you book the Hello Kitty room, two hello kitty sunbeds on the beach are included in the booking on the Hello Kitty beach ! 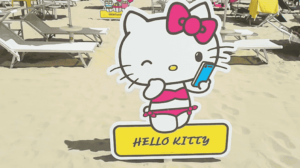 Otherwise most beaches are private and therefore you need to pay ! 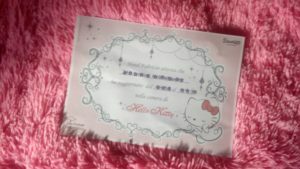 At the end, when you leave the hotel, they give a certificate of stay for the Hello Kitty room ! I don’t know what’s the point but it’s cute and funny and maybe I’ll frame it in my room ! 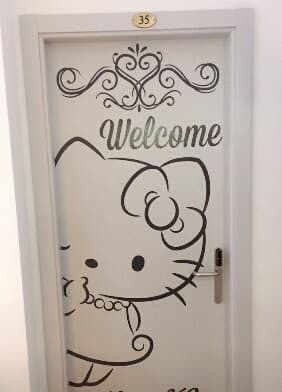 Anyway I super loved this Hello Kitty room ! If you come in Europe, don’t hesitate to go there ! I had a really nice stay ! 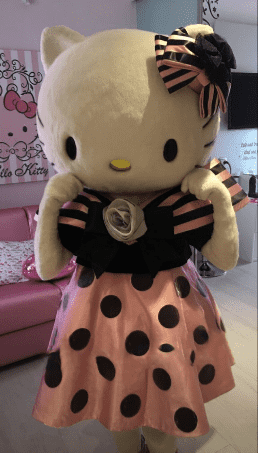 And I don’t think you would have this welcome with all those gifts in the hello kitty room in Tokyo ! 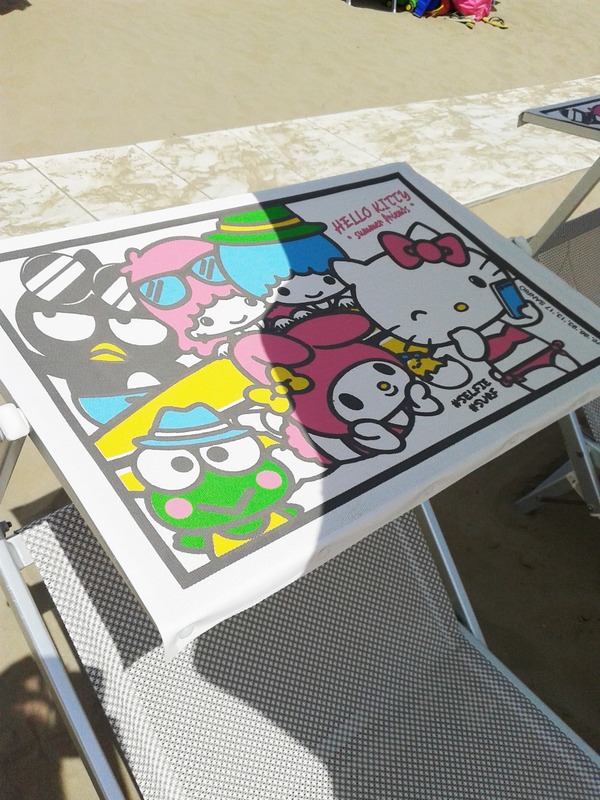 The Hello Kitty beach is available until the end of tourism season in September ! –They speak italian, french and english !